It feels like Christmas was only yesterday. Now it’s the second half of the year and before we know it, Christmas is going to be here soon. Christmas is an important occasion that Filipinos celebrate and enjoy. It’s that time of the year when everyone, rich or poor shares his/her blessings. It is ingrained to us from childhood. In fact, Christmas in the Philippines is not complete without parties and the tradition of exchanging gifts. Christmas is the happiest season of all! VFV’s Gift Giving is not simply a way to give back, but also to put a smile in the faces of the less fortunate, letting them know that they matter, that we care about them. Last year’s gift giving allowed us to give hygiene kits to residents of social welfare institutions. 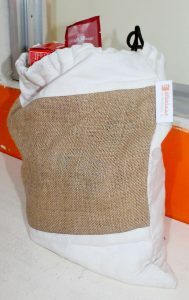 This year, in addition to the hygiene packs, we will endeavor to provide each institution a bag of rice, which in my belief is essential commodity. 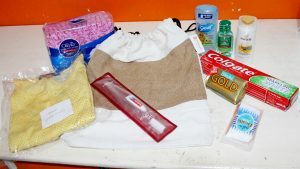 Our hygiene kit is composed of bath soap, shampoo, toothbrush, toothpaste, deodorant, alcohol, Q tips, comb, sanitary pad for the ladies, towel, and an article of clothing, either blouse, shirt, skirt, or trousers. As always, for any big project, VFV prepares months in advance. So as early as now we are trying to gather donations, in kind or cash. This will allow us to provide hygiene kits and rice. Anyone is welcome to help us in any means. Together, let’s give and share on Christmas! For more information, you may contact us at vfv.info@visayans.org.